The “Holographic Press Release” has been launched by You Are Here Labs (YAH). YAH is a company based in the USA that specialises in immersive experiences. Their main work focuses on virtual reality, augmented reality and mixed reality. They now claim to have launched the world’s first holographic press release. YAH’s system records 360-degree and 180-degree holograms that can be shared on social media platforms. The “Holographic Press Release” uses 3D capture and volumetric video. Volumetric video is a feature already integrated on Facebook and Snapchat. This means that user’s won’t need to download an app or visit a separate website to experience holographic video. The “Holographic Press Release” can be used to showcase people and products as interactive, 3D holograms. This can help breath life into a brand’s press releases by giving recipients a new experience that they haven’t seen before. Standing out from the crowd is a difficult task for companies announcing new products or updates. The use of immersive technology can capture the attention of audiences and increase the level of engagement. “Our holographic approach is aimed at physical objects, including people. Once the ‘hologram’ is placed in the world, users can move around it, viewing from any angle and distance. 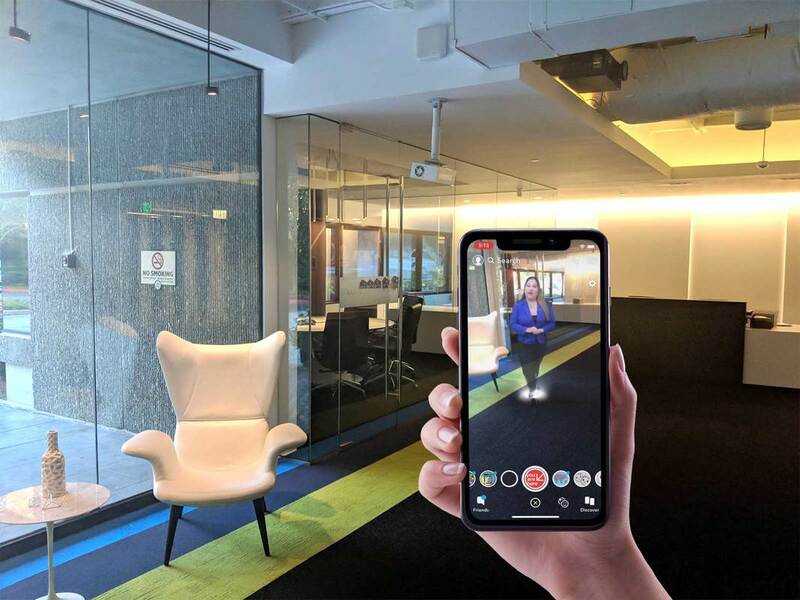 Cathy’s hologram was purposely displayed at 180° or half of the capture in order to meet file size limitations for platforms like Snapchat and Facebook. We are already working to increase what can be done within these limits.” – Ricardo Olivo, Vice President of Innovation Technologies.